The aluminum sheet is kind of flat steel which is a sheet thickness of 1 mm to 500 mm made ​​of various grades of aluminum sheet and aluminum alloys sheet. Aluminum sheet is a raw material for parts as diverse as automotive side panels, storage tank walls, architectural panels and signs. The versatile properties of aluminum ensure high performance, durability and long life for itsend products. These include:Low weight ,Excellent corrosion resistance,Temperature resistance, including excellent performance at temperature extremes Thermal conductivity,Ease of machining, stamping, forming and welding. The aluminum sheet has a good weldability, excellent ductility, high corrosion resistance and satisfactory durability. It is used for the manufacture of various parts, components, structures and facilities. Also, they are widely used in food industry and for manufacturing goods and household consumption, which is valued their lightness, ductility and corrosion resistance. Another area of application is air and mechanical engineering, nuclear power engineering and electrical industry. Depending on the scope of the aluminum sheets are manufactured in various sizes and from different alloys. 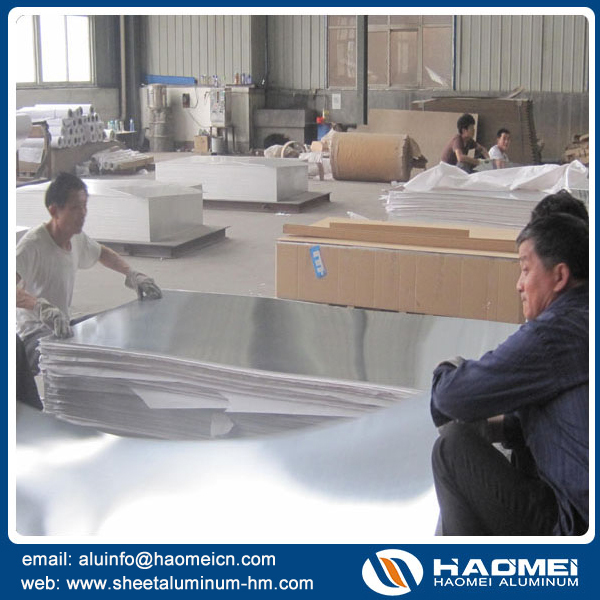 The company Haomei Industrial Co., Ltd. offers a wide range of aluminum sheet alloys for various applications.